If you had to introduce your brand at a dinner party, what would you say? In an ideal world, you’ll leave your guests with a specific, favorable impression of who you are and what you’re about. But that can be easier said than done. Before you can deliver that zinger of an introduction, you have to know your brand well enough to articulate what makes you special. 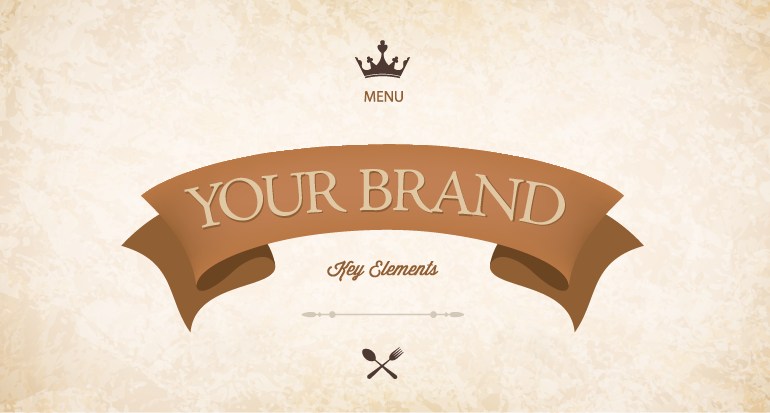 If you’re not sure, it’s time to develop your brand positioning. Brand positioning is the process of identifying what problem your brand is solving, how you’re going to solve it, who you’re solving it for, and why they should believe you. It means defining the emotional connotations and responses you want from your customers every time they think about your brand. The benefits of developing a strong understanding for your brand extend beyond having an impactful elevator pitch. Your brand positioning forms the very foundation of your marketing strategy. While it isn’t intended to appear word-for-word in your marketing materials, an articulate and descriptive positioning statement shapes your brand voice and messaging which enables a consistent brand presentation across all your marketing efforts. After you distill the essence of who you are and what you offer, it’s easier to communicate those ideas in bits and pieces through an authentic brand personality and customer experience at every touch point. So what belongs in this articulate, descriptive positioning statement? It all starts with the basics: who, what, when, where and why. The frame of reference is your when and where. It sets up the context for your brand. It establishes the current market conditions and the problem your brand will seek to address. This element places your brand firmly within the space you intend to impact, and clearly states the need giving your brand a reason to exist. Once you’ve identified the problem through your frame of reference, your demographic summary states who you are solving the problem for. This summary will stem from the buyer personas you create based on research and analytics. To develop an effective marketing strategy, you need a robust knowledge of whom you’re marketing to and how they engage in the sales process. Now that you’ve established what context your brand is occupying and whose problem you’re solving, your market differentiation is what you plan to do to address that problem. This needs to be unique to your business and distinct from all competition in the market. Amazon states that for their digitally-minded target audience, they provide “instant access to over 1.1 million books,” thus differentiating their services from traditional sellers who couldn’t possibly process that much stock. Ideally, the specificity of your market differentiation will make the decision to choose your brand over the competition seem inevitable to your target audience. With your who, what, when, and where confirmed, your brand promise is how you intend to deliver on your differentiation. It should outline your dedication and commitment to solving the problem for your audience. Don’t make the mistake of being so hyperbolic that you promise something you can’t deliver. The only thing worse than not promising anything is failing to follow through on a promise once made. Your brand promise should earn your audience’s trust--not break it. Now, last but not least, the why. Why should anyone take you seriously? Your reason to believe reinforces your brand promise and establishes your credibility for delivering on your claims. Consumers are rightfully skeptical of promotional messaging, so your brand content must be grounded in compelling evidence that justifies the promises you’ve made. Your reason to believe may come to life in the form of case studies, “How To” blog posts that demonstrate expertise, or customer testimonials. In Amazon’s case, their reason to believe is the same as their market differentiator: they provide access to over 1.1 million books. This won’t always be the case, but if your market differentiator is specific and action-oriented enough, it’s certainly possible that it can double as evidence for the credibility of your claims. For [target demographic], Your Brand Name is the [market differentiator] that delivers [brand promise] among all [frame of reference] due to [reason to believe]. Your positioning statement will be more elaborate than this, but it should contain each of these five elements in a clear and succinct fashion, free from jargon and convoluted language that muddles your message. The tighter you can make this statement, the more memorable it will ultimately be. That may sound small, but a brand that resonates is built by small, meaningful impressions that build up over time into a comprehensive and powerful understanding in your customer’s mind whenever they encounter your name. Ready to craft a focused and dynamic positioning statement? Our free Brand Voice Worksheet will help to get the wheels turning so you can start the conversation about who you are and who you want to be.